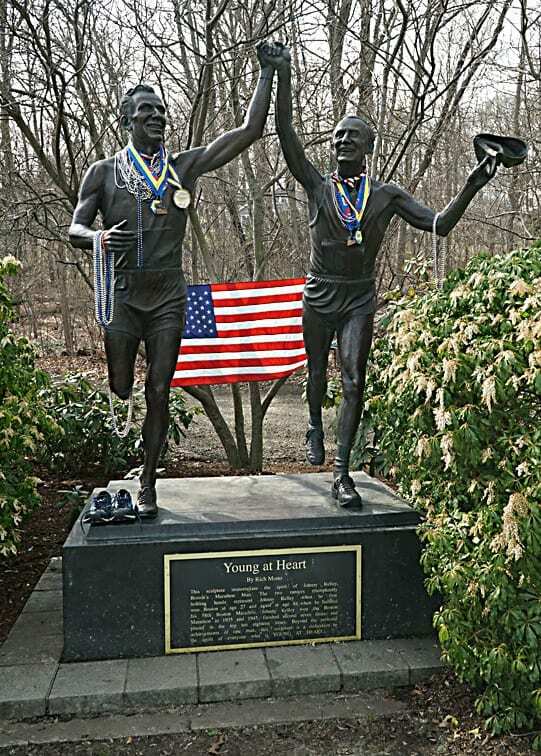 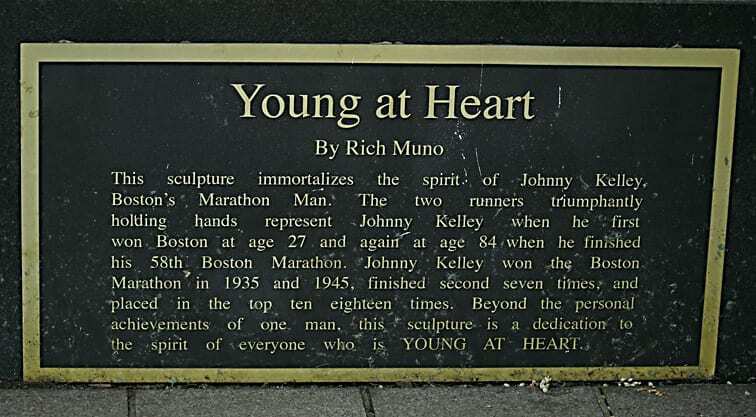 The 123rd running of the Boston Marathon takes place tomorrow, Patriot’s Day, April 15th. 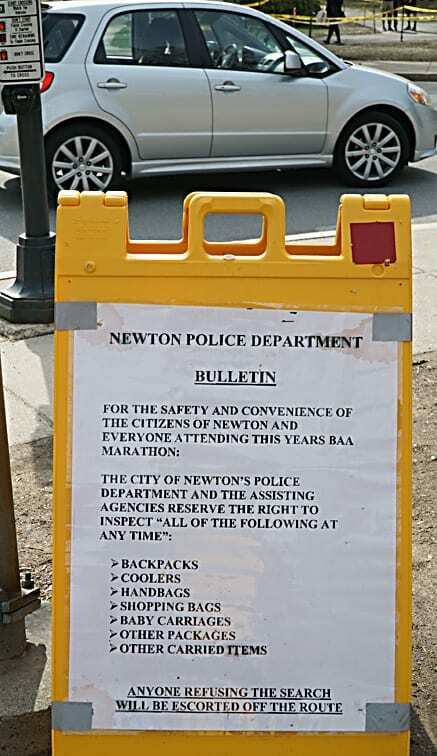 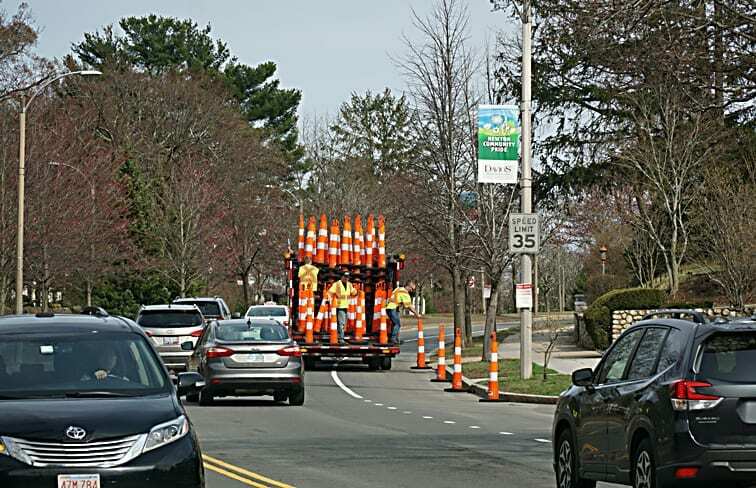 On Sunday the 14th with temperatures in the low 60s final preparations were going on including the strategic placement of traffic cones along Commonwealth Avenue for crowd control. 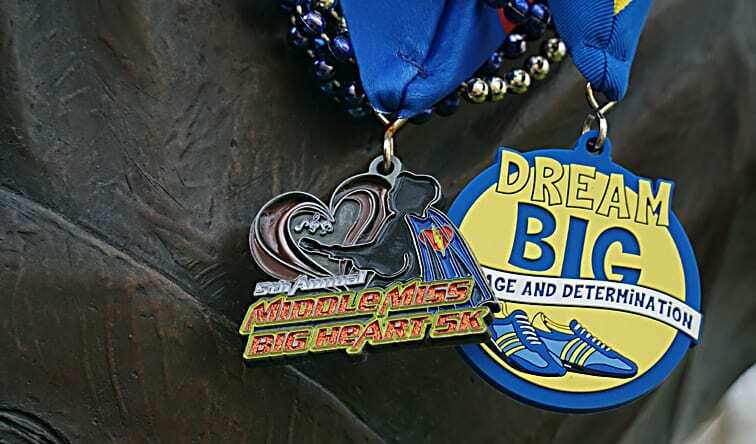 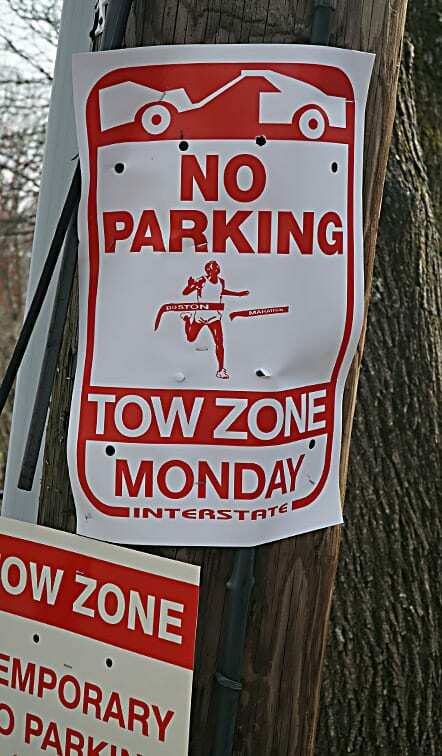 The weather for Monday looks like it will be wet and warm … try to get out and cheer the runners on.